GLOBE presents a report in this week’s November 26th print edition about All My Children (AMC) star, actor Jordi Vilasusa, who played Griffin Castillo on AMC, and two acting coaches who are trying ‘To Bring Soaps Back From Dead.’ It’s good to see GLOBE working hard again to fight the battle against the demise of the struggling soap opera genre. I know that many people enjoy the gripping drama that soaps traditionally offer and are not satisfied with the networks’ substitute programming. General Hospital coach John Homa, AMC advisor Jeff Dockweiller and actor Jordi Valassis, who played Griffin Castillo on AMC, have formed a production company, Paos Revolution, dedicated to giving new life to daytime dramas. The trio hoped to begin shooting in 2013. They expect the film to be released in theaters or air as a TV movie. Either way, they say the production will be available as a DVD. They’re also putting together a reality show, Perfect Day, that gives a “special fan” a chance to spend time with their favorite soap star. That program will run on their website www.paosrevolution.com until they can find it a slot on television. Soaps sometimes get labeled for being trite and melodramatic but this unfair criticism is nothing more than ignorant stereotyping on the part of non-fans. Due to the daily episodic format soaps allow a complex story to be told in all its glorious detail. In fact, the most innovative and successful shows on television have been based on the soap format. Whether you choose the incomparable Rich Man, Poor Man, Dallas, Dynasty, The Sopranos, or Boardwalk Empire you’ll realize that these classic TV shows closely followed the basic soap format. Because soap operas don’t use expensive sets, expensive actors, and rely upon practical production values does not mean that they are incapable of providing quality entertainment. They deal with the same critical issues that produce top quality big-money TV drama: life and death, romance, crime, betrayal, and greed. If you allow yourself to appreciate the wonderful acting and writing you’ll find that soaps can be a veritable delight. That’s why at Celeb Dirty Laundry we always offer our support for such American classics as AMC and One Life to Live. It’s important that fans let the networks know that they will support these shows because in the end it’s all about money. 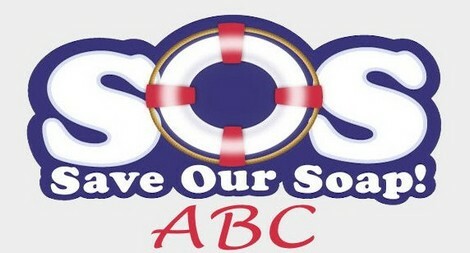 If soaps can get adequate viewership in those demographics desired by advertisers then the networks will support soaps. Remember, this is the entertainment BUSINESS!